Paul Webster joins us from Dublin for his District Debut. With his release "Corruption" being released on Armin Van Buuren's Captivating Records. Over the years Paul has seen support from the likes of Paul Van Dyk, Eddie Halliwell, Marco V, John O’Callaghan, Sander Van Doorn and Tiësto just to name a few. Hailing from Bahrain Amir joins us from his residence in the UK. With productions that have been supported by massive names such as Armin van Buuren, Markus Schulz, Aly & Fila, Paul Oakenfold, Sean Tyas and many many more. With plenty of high profile releases under his belt on labels like Armada, Black Hole Recordings and Monster Tunes. Remixing big hitters such as Bryan Kearney, Solarstone, John Askew and Dash Berlin, he joins us for his debut at the end of the month. ⚠️ District Fridays - Belfast's fastest growing Friday night returns for another instalment at Fourteen Belfast. Join us for another rowdy rave with full stage production in the District. Table bookings guarantee access with Queue Skip, Entry and drinks included in a variety of bespoke packages ➾ Message the page for more info! The biggest Saturday night in Belfast - UPTOWN welcomes one of London's finest T MONEY to Fourteen Tomb Street for one night only! Following his show at Christmas Gleave returns alongside residents Paul Woods and Paddy Gormley. Downstairs Ryan Morgan takes over the lounge from 10 with all things House, Techno and Disco. Districts very own Paul Woods and Paddy Gormley will be on support alongside Midknight Thieves whom return following a smashing debut in Febuary! Anthony Morrissey takes over the lounge from 10 with all things House, Techno and Disco. CLICK GOING TO WIN: 5x VIP + Table + Bottles + 5 Jumpers. St Paddy's just got twisted. Join us as Murdock returns to Fourteen following his recent Christmas show. Murdock has set a unique standard in energetic club entertainment & bringing forward a fresh style to the club scene of UK & Ireland. With this his pioneering profile has grown largely and became recognised throughout the world very quickly. A dozen sold out solo shows at the late Mandela Hall holds energy within to be unleashed on the 17th. When not headlining shows, he regularly brings a groove to support internationally renowned artists such as Angerfist, Radical Redemption, Atmosfearz, Paul Van Dyk, Ben Nicky, Pete Tong, Timmy Trumpet, Nicky Romero, Fedde Le Grand, Laidback Luke, Bassjackers, MaRLo, Mauro Picotto & Zatox to name but a few, ensuring his names recognition in the local scene as well as making an impact on electronic music throughout a wider audience. 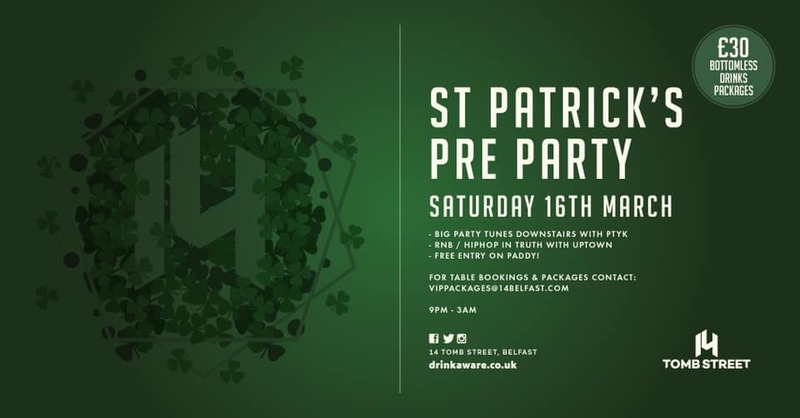 St Patrick’s Pre Party - FREE entry on Paddy! The one weekend of the year everyone claims to be called Paddy and drink Guinness! Table bookings guarantee access with Queue Skip and drinks included in packages from just £7 ➾ Message the page for more info! YOU asked us, WE’RE hosting it! ➞ Best dressed wins £50 and a bottomless drinks package! Our resident DJ Emma Buchanan is back, be prepared for lots of GAGA, GAGA and more GAGA! 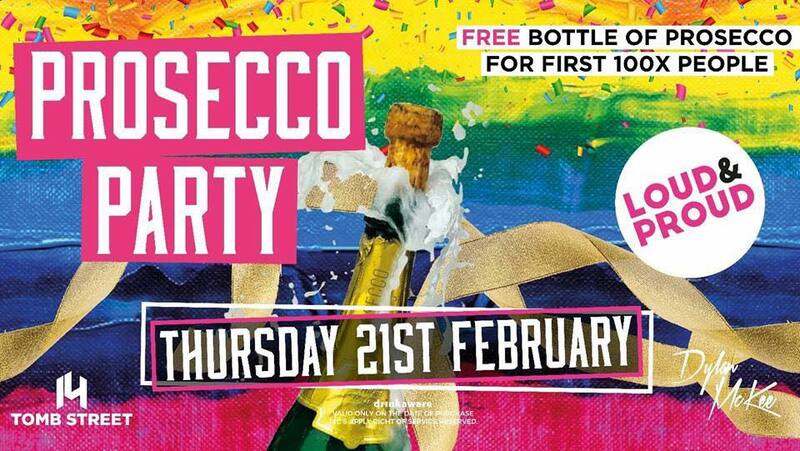 ➞ £10 bottles of Prosecco can also be purchased if you're not one of the lucky 10! ⚠️Message the page now to get the best seats in the house! ⚠️ District Fridays - Belfast's fastest growing Friday night returns for another instalment at Fourteen Belfast. 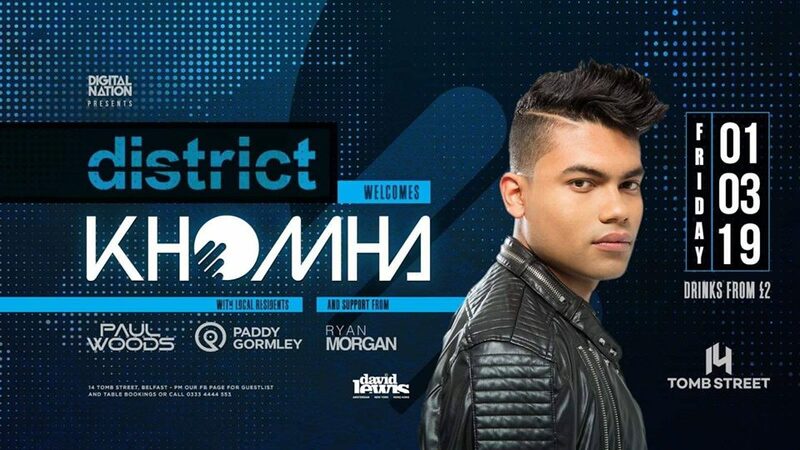 Join us on 1st March as we welcome KhoMha all the way from Columbia for a rowdy Belfast rave. Message us now for guest list & table bookings! ⚠️ Table bookings guarantee access with Queue Skip and drinks included in packages from just £7 ---> Message the page for more info! YES! That's right! We're hosting a..
➞ First 100 customers will get a free bottle of bubbly! We are also welcoming another of our resident DJ's Dylan McKee, be prepared for lots of energy, cheese and a little bit of sass! Expect classic Hip-Hop/RnB from the likes of Jay-Z to Snoop Dog, our resident DJs changing it up a bit with all things 90s. Click GOING to win a reserved table, bubbly on arrival and x4 bottomless drinks packages! We’ve replaced Cilla Black with Roxy Tumbledryer, replaced romantic dates to a Nando’s voucher for two, but still kept them cheesy chat up lines! Fancy your luck at love?! 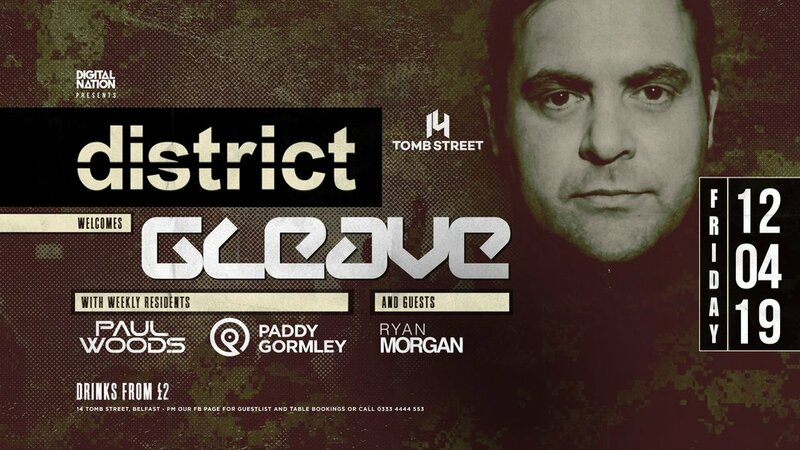 District in association with Digital Nation present homegrown talent Ciaran McAuley for an intimate show in the District! Joining him are residents Paul Woods and Paddy Gormley alongside Sean Murphy in the main room. Downstairs Tommy McCoy sets the scene in the lounge from 10pm! Hot off the release of his Beatport #1 "Never Fade Away" Ciaran joins us for a full stage production show in Fourteen Belfast. With appearances at several festivals such as Creamfields, Tommorrowland, Dreamstate and Luminosity Events the opportunity to see him locally is not to be missed! This is a pay on the door only event. No tickets are available and we would advise early arrival to avoid disappointment. :: Table bookings guarantee access with Queue Skip included in packages from just £12 ---> Message the page for more info! With a host of VIP and table packages available - Drop us a message for some more info! Join us as we host Belfast biggest Superbowl party at Fourteen Belfast! The Betty Blacks Takeover - DAY CLUBBING IS COMING TO BELFAST!! DAY CLUBBING IS COMING TO BELFAST!! 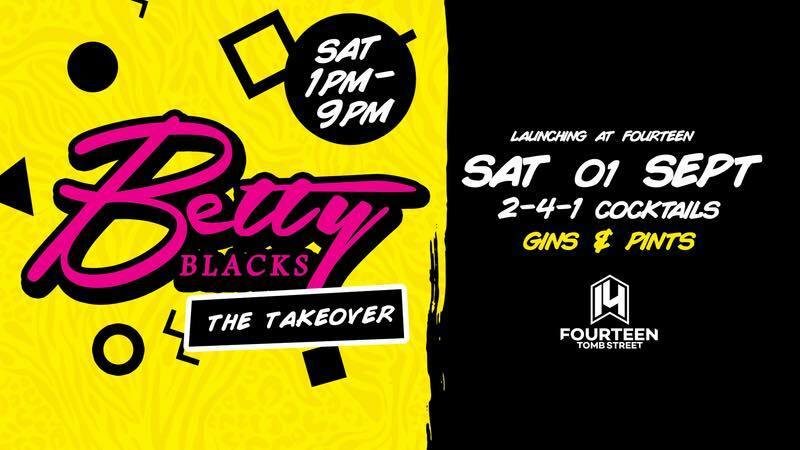 The Betty Blacks Takeover - every Saturday at Fourteen Belfast! Large groups, hen & stag parties, everyone is welcome! 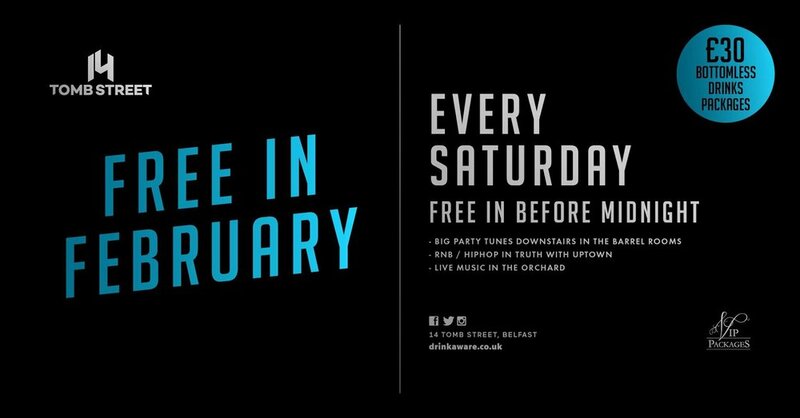 ⚠️District Fridays - Belfast's fastest growing Friday night returns for another instalment in Fourteen Belfast. Join us for another rowdy rave with full stage production in the District. This week we welcome Cutser to the main room alongside weekly residents Paul Woods and Paddy Gormley with JRDN. returning for an appearance upstairs. Downstairs Chris Bowman makes his debut in the lounge, setting the scene from 10pm. :: Table bookings guarantee access with Queue Skip and drinks included in packages from just £7 ---> Message the page for more info! 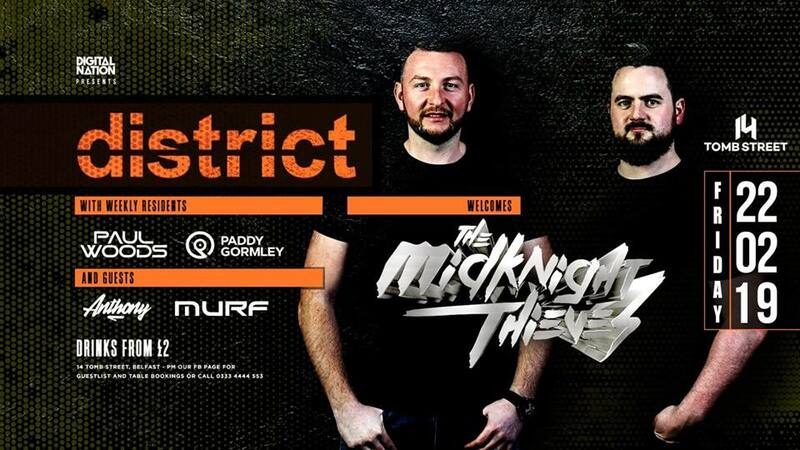 Following a run of SOLD OUT shows for the Digital Nation team across the country, as well as appearances at Creamfields and Defqon 1, MKN returns to District for a momentous and intimate gig at Fourteen Belfast. ⚠️District Belfast - Your ALL NEW weekly rave hosts another rowdy night in Fourteen Belfast - Continuing to bring you the hottest international and local talent. Christmas just got twisted. 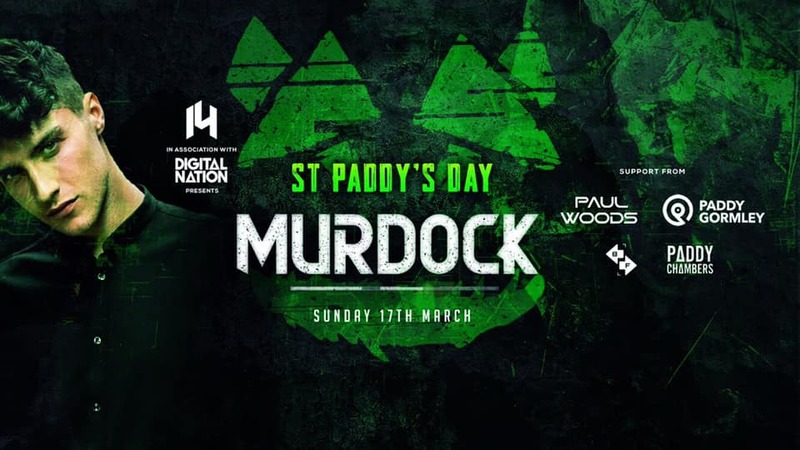 We are excited to host the premiere and exclusive launch of Murdock's brand new EP. A special, up close and personal set with ecstatic energy, bringing to a close a truly momentous 2018. Murdock has set a unique standard in energetic club entertainment & bringing forward a fresh style to the club scene of UK & Ireland. With this his pioneering profile has grown largely and became recognised throughout the world very quickly. A dozen sold out solo shows at the late Mandela Hall holds energy within to be unleashed on the 29th. Celebrating the launch of their new single and one of the biggest Trance tracks this year 'The Air I Breathe' - Richard Durandd and Christina Novelliare set for a memorable one, this Christmas season in Belfast. Expect a full stage production show with support from District Belfast residents Paul Woods and Paddy Gormley. Fourteen Belfast presents ‘Legends VS Legends’ Sunday 23rd December. Click GOING for your chance to WIN 5x FREE entries, a Reserved Table, 5x Bottomless Packages & a Round of Jägerbombs! Selected drinks £1 / all other drinks £3. We’re throwing a huge Christmas Cracker Party just for you! ▪️Bottomless Drinks Packages: £20 for one night only! ▪️3 floors of RnB, HipHop & all your favourite big party tunes! ⚠️District Belfast - Your ALL NEW weekly rave hosts another rowdy night in Fourteen Belfast. Joining us this Friday is Gleave, making his debut in the District. Alongside him are weekly residents Paul Woods and Paddy Gormley. Downstairs in the lounge Ryan Morgan returns to set the scene from 10pm. Tables are filling up fast - We have a host of packages available for any situation from birthdays to office parties and anything in between. Message the page for more information! Click GOING to WIN free entry & a Reserved Table for 5, 5x Cocktails & 5x Bottomless Drinks Packages. Continuing our November Fundraising month.. Fourteen Saturdays presents ‘The Global Awareness Party’.